On Thursday, May 7th, at the unlikely time of 10.30am, an even more unlikely event took place. 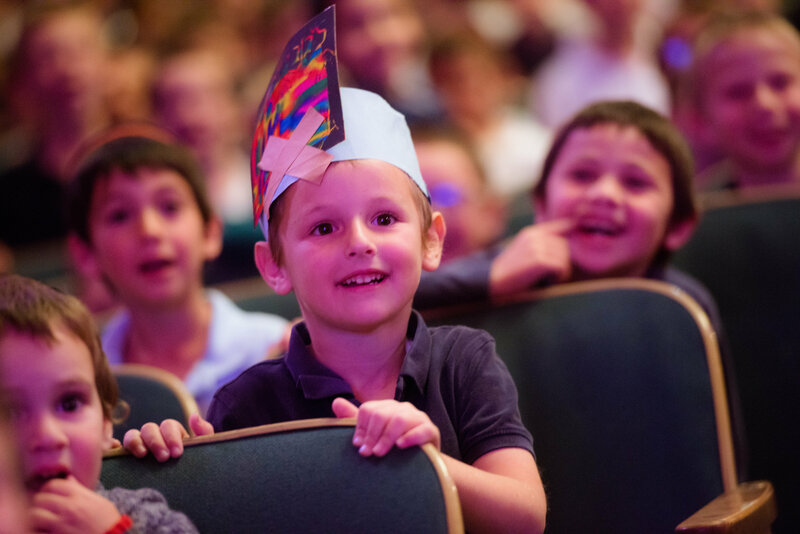 The historic Wilshire Ebell Theater in Hancock Park was turned into a major concert venue with over 1,500 children who came to hear a Lag B’Omer Unity Concert. 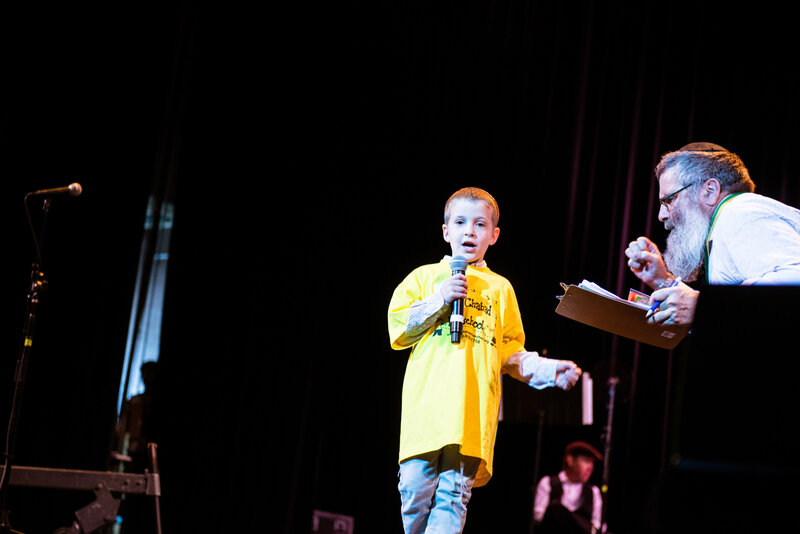 Many schools were pleased to participate and it turned out to be much more than a concert. 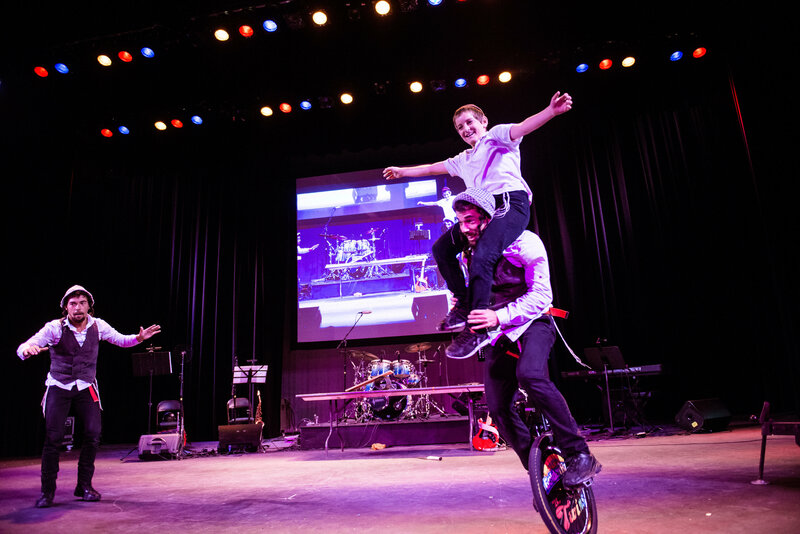 Before the curtain lifted, one of Hollywood’s top jugglers entertained the arriving attendees, putting them immediately in the spirit of Lag B’Omer. 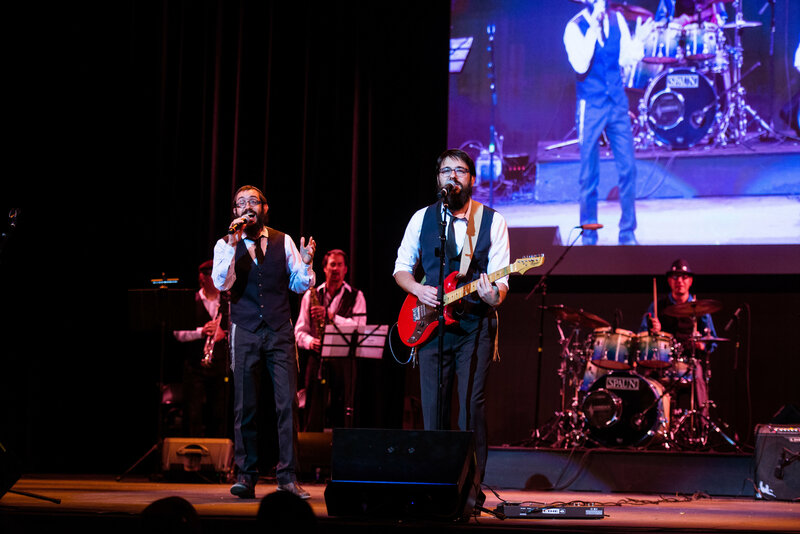 Suddenly a drum roll was heard, the lights dimmed and the Chassidic pop rock band, 8th Day, hit the stage and started singing with their famous hit song, “Hooleh!” For the next few minutes the entire crowd was on their feet cheering brothers Benzi and Shmuly Marcus. Rabbi Meir Greene, Shliach of Chabad of Tarzana, who served as the MC, welcomed everyone and introduced an inspiring video of the Rebbe about the importance of Lag B’Omer. 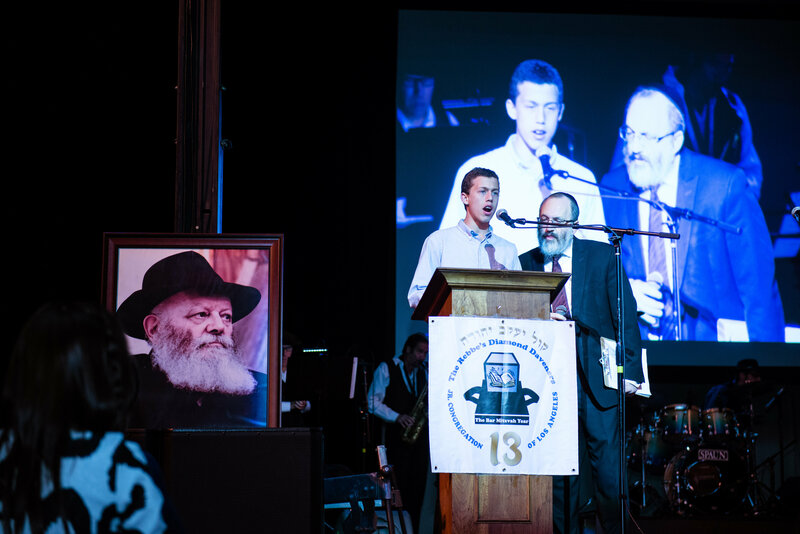 Following Rabbi Cunin’s address and an energized interaction with the children, Levi Farkash, a twelve year old student of Cheder Menachem, was asked to come up to the stage by Rabbi Greene, telling the crowd that Levi is the first cousin of Chaya Spalter and is representing Chaya’s family who could not be at the event due to Shiva. Levi recited the Rebbe’s Kapital followed by a beautiful repertoire of the 8th Day. As 8th Day exited the stage, Levi Cohen, the elected president of Kol Yaakov Yehuda, The Rebbe’s Diamond Daveners, delivered a heartfelt message thanking all the attendees for all their great wishes for the Bar Mitzvah of Kol Yaakov Yehuda that had been held the night before at an exclusive catered Seudois Mitzvah dinner. He impressed upon them to take up the Hachlatah that when one davens it should be while you are looking into the siddur. After Cohen finished his speech he received a standing ovation. Rabbi Greene then introduced, Rabbi Mendel Duchman, Founder and Director of the Rebbe’s Diamond Daveners, firstly by congratulating him on KYY’s Bar Mitzvah and then asking him to run the Tzivos Hashem Pisukim portion of the Concert. The celebration ended with 8th Day joining the Twins for a very grand finale. “What was best at this year’s celebration was the combo of these two groups.” Commented one of the principals who brought his school to the event. The Lag B’Omer Celebration was also saluting 50 years of Chabad Headquarters on the West Coast, located in Westwood, and the Bar Mitzvah of Kol Yaakov Yehuda, The Rebbe’s Diamond Daveners which is a meaningful youth group that is under the auspices of Congregation Levi Yitzchok in Hancock Park. 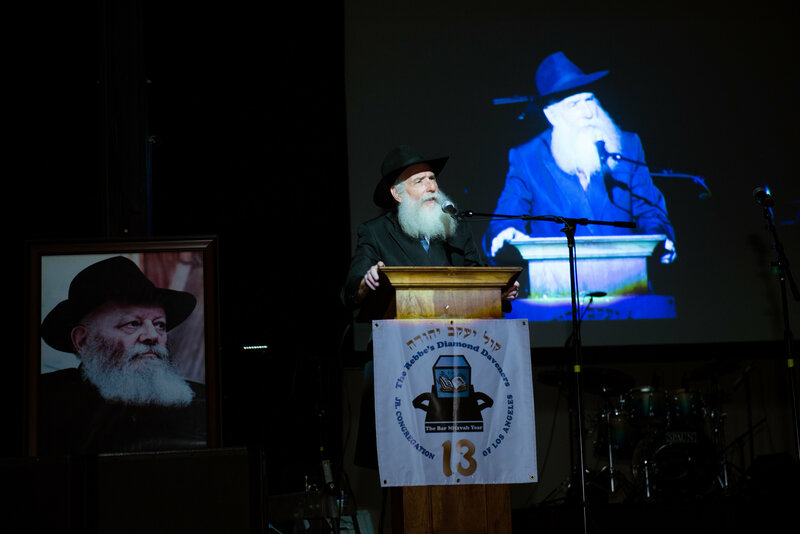 The event was coordinated by Reb Yossi Burston activist and coordinator of many Peulos in Los Angeles, Rabbi Tzemach Cunin, Shliach of Chabad of Century City, Rabbi Meir Greene, Shliach of Tarzana and Rabbi Mendel Duchman, of Kol Yakov Yehuda.